A very fine and delicately painted oil on panel by British female artist Georgina L'Aubiniere. 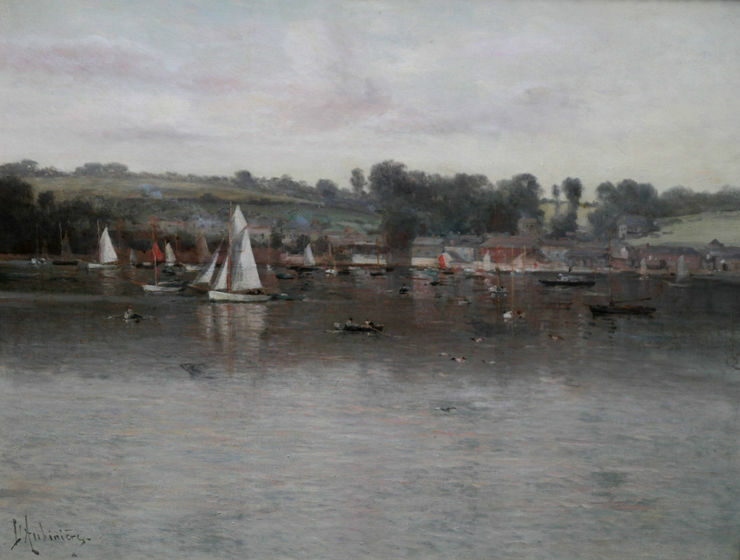 The work depicts a marine boating scene and a tranquil river Fal at Flushing, Cornwall. It was painted in an impressionistic palette circa 1900. 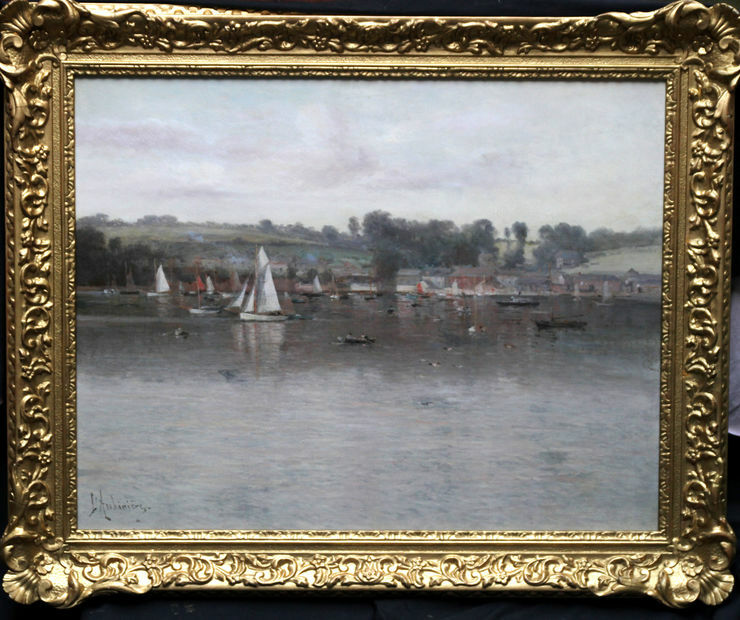 A beautiful large oil on canvas with multi layers of colour and depicting flushing on the Fal with all the boats. In excellent condition in a fine Victorian gallery frame. Cornish estate. Lechertier Barbe Ltd London Gallery. Excellent condition. 43 inches by 33 inches.